Now this one is especially imaginative and inventive. 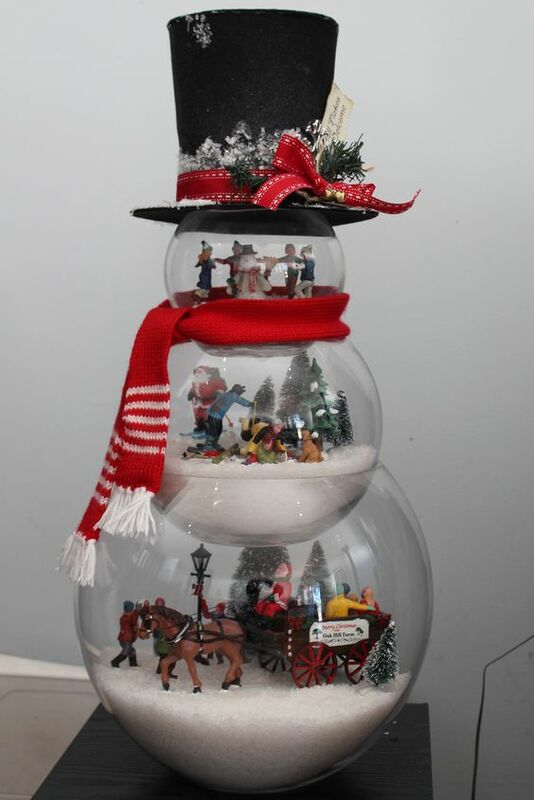 Just grab three slightly different sized fishbowls (or glass bowls), stack and fill them one by one with your favorite small decorations and fake snow. And when you are done you will have a snowman filled with the joy and spirit of Christmas, literally.